It is easy to recognise madness, but how does one define it? This thesis explores the different ways madness was defined and portrayed in Italian texts from the early fifteenth century through to the late sixteenth century. Although this thesis investigates how and why people were categorised as mad, various sources have shown that the treatment of these individuals varied according to different social, cultural and political contexts. In some cases madness was seen as an undesirable expression of social deviance and in other cases, a venerated symbol of wisdom. In light of these discrepancies, social structures stigmatised and often alienated those considered deviant and acted as powerful punitive and organisational mechanisms. The power of language juxtaposed deviant behaviour against acceptable behaviour and re-established a sense of order and control over the definition and, consequently, the treatment of madness. By madness I refer to a psychological condition that contributed to the display of behaviour, speech and appearances deemed culturally and socially unacceptable. In addition to this definition, texts from a range of literary genres including novelle, medical treatises, biographies, poems, letters, chronicles, and advice books, elude fixed definitions and reveal a colourful array of multi-dimensional perceptions of the nature of madness. The key questions that arise are what constituted madness, and what do these defining characteristics reveal about the society in question? The main problem this project poses is the act of historicising madness and its social and cultural context; the challenge, to borrow John Jeffries Martin’s phrase, is to reconstruct Renaissance Italian ideas and beliefs ‘on their own terms’. 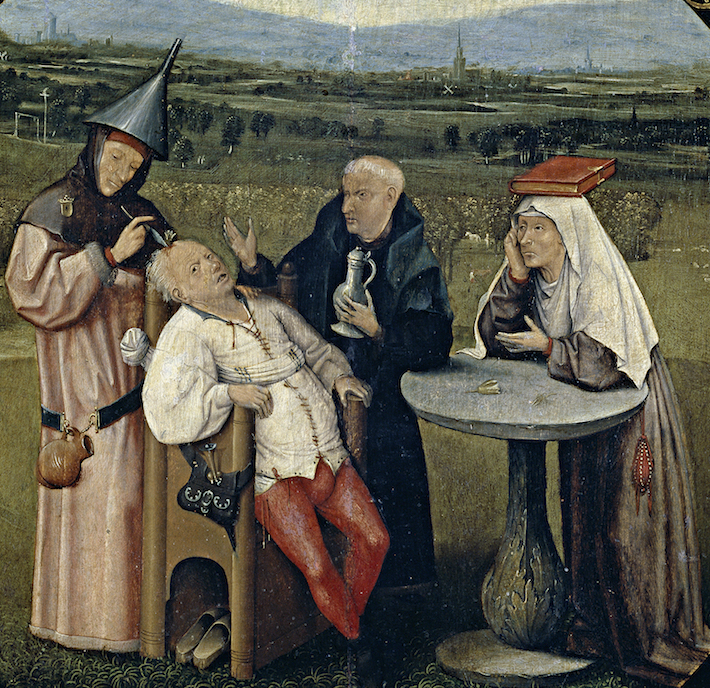 Detail from The Extraction of the Stone of Madness, c 1494, Hieronymus Bosch. Firstly, it is important to outline what madness meant to Renaissance Italians as well as what it signifies to historical understandings of madness. The term madness is used instead of “mental illness” or “clinical insanity” because it covers more general territory and is open for reinterpretation without privileging twentieth century conventions of psychoanalysis. Although the word madness was not used to signify a mad person during the early modern period, it provides a unifying label under which different definitions can be explored. Renaissance conceptions of madness were applied to individuals who would probably be classed as clinically insane today. The idea of madness also encompassed those who essentially transgressed the social norms and exhibited deviant behaviour, those ambiguously termed ‘strano’ (‘strange’). Terms such as ‘buffoni’ (‘buffoons’), ‘follia’ (‘folly’), ‘sciocchezza’ (‘nonsense/foolishness’), ‘frenetici’ (‘frantic’), ‘deliri’ (‘delerious’) and ‘scema’ (‘stupid’) were also associated with the general term ‘pazzia’ (‘madness’). In terms of available care for these individuals, hospitals were a medieval Arab invention that first appeared in Europe in Spain in 1409. These were religious charitable institutions that also catered for abandoned children, the elderly and those in extreme poverty. These institutions were not provided to cure ill individuals; they were a refuge for those who were considered “incurable”. In Italy, hospitals for those incurables considered mad first appeared in Bergamo in 1352 and in Florence in 1387. However, these institutions only admitted those who could not afford to be treated at home or did not have relatives willing to keep them away from the rest of the community in the family home. The local prison in Florence, Le Stinche, was another place where the mad were incarcerated in order to separate particularly violent individuals from the rest of society. The use of the hospitals to store the “incurably” mad, especially in late sixteenth century Italy, shows that it was widely regarded as a permanent ‘morbo’ (‘disease’). The various definitions of madness and the treatment of these individuals reveal that madness was also a cultural construct that changed over time. The cures and advice given by physicians nor the gradual “medicalisation” of madness are themes pursued in this paper. This thesis examines the way cultural constructions played a fundamental part in defining notions of ‘insania’ (‘madness’) and ‘furor’ (‘fury’) and isolating those who ‘“pateva un poco di cervello”’ (‘“suffered a bit in the brain”’). With furious lookes, a ghastly sight. And roares amaine he knowes not why? 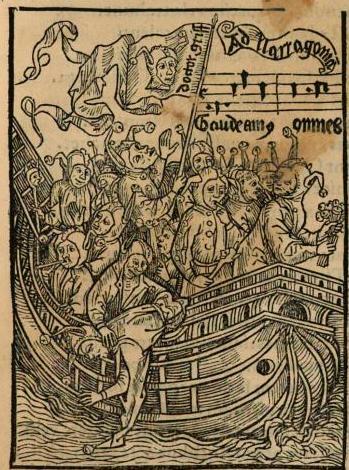 Woodcut from Sebastian Brant’s Ship of Fools, 1498, attributed to Albrecht Dürer. This conception of bestial madness was also articulated in various Italian texts. The Commedia dell’Arte company travelled to Florence in 1589 staging various plays such as La pazzia d’Isabella (‘The Madness of Isabella’). As the title suggests, Isabella performs the stereotypical frantic incoherence of a madwoman as she enters into a ‘frenzy’, speaks ‘nonsensical’ ramblings, ‘…tears her clothes from her body, and as if pushed by some force, goes running up the street.’ In other sources, such as the Florentine court records of 1407, ‘Margherita, the wife of Lotto, who lives in Porta Fugia in the territory of Prato’ is described as being ‘insanam furiosam’ (‘furiously mad’). The record states that she was a ‘Piromane’ (‘Pyromaniac’) who often walked the streets of Porta Fugia with a lamp and one day set fire to the house of Stefano Tomasini. Within the same month, Margherita left Porta Fugia for another village where she met a hostile resident who, thinking that she was ‘“the mad Pierazza of Florence”’, refused to allow entry in their house saying, ‘“I don’t want to let insane people into the house.”’ In the end, the court ordered that Margherita be fined and then isolated from the rest of society in the local prison for a year. If she did not pay her fine, ‘she was to be whipped through the streets of Pistoia….’ Margherita’s story illustrates just one case out of many, however, it reveals how stories about the deviant behaviour of certain individuals were circulated across towns and cities throughout Italy. It also highlights that a system of behavioural codes existed whereby people recognised and labelled deviants as ‘strano’ or ‘pazzia’. This analysis will explore other Renaissance characterisations that went beyond the universally recognised prototype of bestial madness, and relied on more fluid notions of social deviance. These characterisations and the social context that dictated the treatment of individuals like Margherita show how madness had numerous meanings for the Italian citizen living in the early to late Renaissance period. There are a number of ways of analysing the primary source material; however, as a result of the complex nature of madness, a thematic structure is the most logical approach to this topic. The first chapter of this thesis delves into the ways that madness was often construed as a form of social deviance in early fifteenth-century Florence. 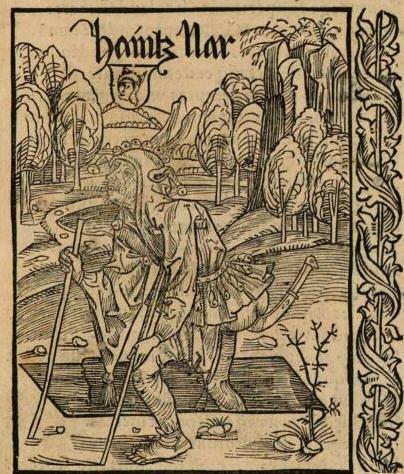 Antonio di Tuccio Manetti’s La Novella del Grasso Legnaiuolo (c. 1480s) (The Fat Woodcarver), a colourful short story of Florentine social values, will be analysed in relation to the social elements of madness connected with friendship networks. This source is important not only because it involves prominent historical figures, it is important because it illustrates how erratic behaviour recognised by society as ‘strano’ were facets of social deviance that took place in the streets of Renaissance Florence. The streets were transformed into a public arena for dramatic re-enactments of social deviance, and illustrate the way that social codes and institutions governed how people conducted themselves in the broader community. The second chapter will investigate how madness could also be construed as both a disturbing and entertaining spectacle. Tomaso Garzoni’s L’ospidale dei pazzi incurabili (1586) (The Hospital of Incurable Fools) is the primary focus of this analysis and will be examined in relation to themes of theatrical space and performance. Garzoni, with northern Italy in mind, produced a treatise that constructs a fictitious hospital for a range of ‘pazzi incurabili’. His catalogue of madness reflects a period in the latter part of the sixteenth century where the number of hospitals in Italy increased. Although Garzoni constructs a hypothetical of tour of an imaginary hospital, his text is a cultural artefact detailing the ideological factors that governed the definition and treatment of social deviance. His patients were characterised as dangerous and amusing spectacles of disorder that needed to be isolated and confined. The final chapter will explore the problematic notion of the genius of melancholy and how it often became identified with madness. The ways madness could be construed as an instigator for intellectual revelation and a powerful path to truth. Apart from the positive connotations that heralded melancholy as the precious treasure of the Renaissance humanist, this analysis also illustrates the perceptions of madness as a bestial condition that often resulted in social alienation. Texts such as Marsilio Ficino’s De triplici vita (1482-1489) (Three Books on Life) and Giorgio Vasari’s Le vite de’ più eccellenti architetti, pittori, et scultori Italiani (1550) (The Lives of the Most Eminent Italian Architects, Painters, and Sculptors) will be studied in relation to the myth of divine madness and the darker side to melancholy that produced the ‘ingegno offuscatti’ (‘obscure genius’). The historiographical developments on the issue of madness in the early modern period have reflected that there is a relatively considerable gap when it comes to studies of madness in Renaissance Italy in particular. Early seminal works focussed on madness in seventeenth century Europe and briefly analysed the Renaissance period as one that witnessed the ‘freedom’ of the mad and one that preceded an era that silenced these individuals with institutional confinement. Criticisms of this conception of confinement have provided fruitful historiographical discussions especially concerning the nature of hospitals and other institutions in this period. However, the general lack of adequate scholarship on this subject, led scholars to classify the Renaissance as a ‘black hole’ whereby madness constituted ‘“terra incognita”’ (‘unknown land’). Despite the lack of comprehensive scholarship, recent years have witnessed the emergence of more specific studies concerning madness in Renaissance Italy. Other interpretations have provided a substantial base for this thesis in relation to conceptions of identity, the self, melancholy and the myth of the melancholic genius. Melancholy has attracted a vast amount of scholarly attention; however, the concentration on madness as a form of social deviance remains a relatively unexplored approach. This thesis aims to fill this gap and provide insights into how and why certain individuals were labelled ‘strano’. In the close reading of primary texts, this thesis will illustrate the social codes of behaviour that governed urban life, and how individuals who deviated from them were stigmatised in some way. The main texts dealt with in this project were selected because they each reveal the complexity and fluidity of madness as a cultural construct. The texts are cultural and intellectual snapshots of how madness was described in written form in this period. The unusual nature of texts such as Garzoni’s L’ospidale and The Fat Woodcarver are a testament to the nature of this enquiry as a set of complex micro-histories, which reveal three specific features of a multi-faceted topic. Through a study of these social codes of behaviour, madness can be seen to be a term that signified a variety of meanings for a range of people from different walks of life in sixteenth-century Italian society. Intrinsic to this complex social landscape is the age-old conception that madness was the quintessential loss of the self. In the period that spanned between the early fifteenth and late sixteenth centuries in Italy, madness was often seen as set of actions and words displayed by someone who deviated from social codes and presented what contemporaries recognised as a serious threat. Possibly most striking of all, it often represented a degradation of the self, identity and social recognition within a broader community. NOTE: Above is the abstract and introduction only. This thesis was submitted in partial fulfilment of the requirements of the degree of Bachelor of Arts (Honours) in History at the University of Sydney in 2009. Download the full thesis (PDF 609KB) or read it via the Sydney eScholarship Repository.